"Our friend Ronald is getting increasingly agitated about Merryweather Security's presence in the state, and a nervous Ron gets on my t***. Why don't you go to Sandy Shores Airfield, hack into the Merryweather Network, find their outposts and then take their choppers and blow 'em all to hell. Okay? Great!" "The market's about to be flooded with inferior product. I... WE... have too much invested in it to let that happen. I need you to get in some Lazer fighter jets and take out the planes holding product before they land. It sounds extreme, but these are desperate times." If a recruit shacks it on exercise, they don't need the added humiliation of hitching back to the landing strip. Practice landing where you took off with this flowing descent from 4,300 ft. to McKenzie Airfield. On the way down you can admire the view or ruminate on failure. From the sea side to mountain peaks, from hikers to technophobic, cannibalistic cultists, from state parks to secret weed farms, the San Andreas wilderness has it all. Drink it in with this Lap Race for choppers by Mount Chilliad and Raton Canyon. Regulation Air Force exercises happen at high altitude over the ocean, but where's the fun when you can't get a feel for how fast you're flying. 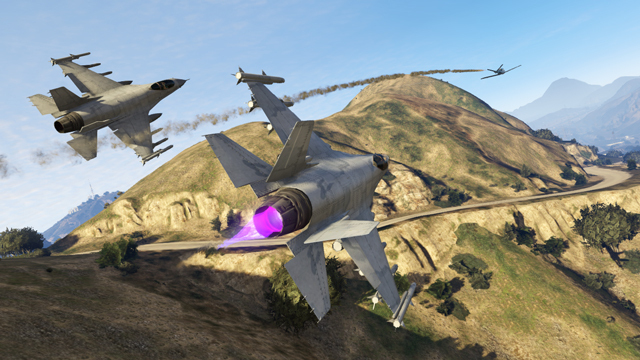 Lap Race for planes low over rural Eastern Blaine County. How close to the dirt can you go without taking the head off a fruit picker? It's a buyer's market as rival groups attempt to deliver Buckingham military jets to LSIA. They're vintage collectors' items and they fly like it, so use Lazers for defense and attack. Each team will only have one Buckingham in play at any time. 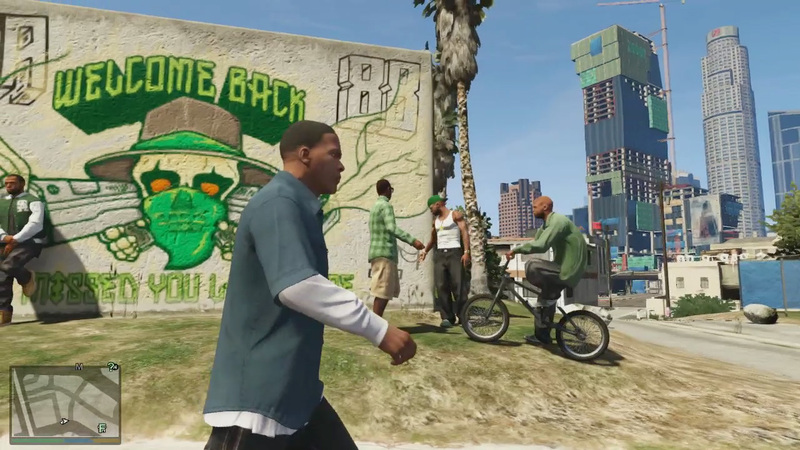 Start points are Fort Zancudo and the Sandy Shores Airfield. Dive bomb Downtown in this point to point for jets. You start in the Tongva Hills, climb to high altitude, make a near vertical descent, and try to pull up at the last minute. It's the highest climb and fall we've got on our books. You'll make an impression or make an impression on the ground. Hold onto your lunch or you'll need windshield wipers on the inside of your cockpit. Point to point for jets through the docks and Downtown. Obstacles to avoid and two loop the loops will keep you on your toes… or your head. Gravity does most of the hard work when you jump out a chopper from 4,000 ft. We're going to make it a bit more interesting by staging the drop in the flight path, and making recruits go under a bridge. Best played at night, so you can see the warning lights on obstacles. Have fun and join us in the forums! 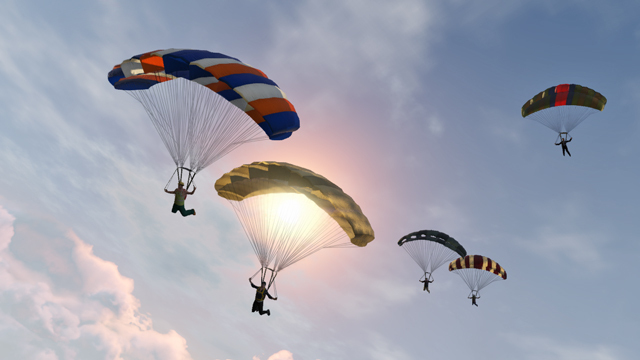 New Flight School Playlist + 2RP For Playing It - New jobs and playlist give you access to more high-flying fun including 2RP and more chances to obtain the High Flyer Parachute Pack.